AIIMS Rishikesh Recruitment 2019 - Apply Online for 33 Group A, B & C Posts on Direct Recruitment Basis in AIIMS Rishikesh, Uttarakhand on Direct Recruitment. Online Applications are invited by AIIMS Rishikesh from 11 Feb 2019 to 18 Mar 2019 for 33 vacancies. 01 M.Sc. In Medical Physics or equivalent from a recognized University/ Institution. (i) M.Sc. in Physics from a recognized University. (ii) A post-Graduated diploma/ degree in Radiological/ Medical Physics from a recognized University/ Institute. 01 1. Graduate in Commerce. 2. Possessing five years’ Experience of handling cash and accounts work in Government Organization. 03 Graduate in Civil Engineering from a recognized University/ Institute with 5 years experience in design and engineering of civil projects, preferably in a Hospital environment. 01 Graduate in Electrical Engineering from a recognized University/ Institute with 5 years’ experience in design and engineering of civil projects, preferably in a Hospital environment. 01 Graduate in Mechanical / Electrical Engineering from a recognized University/ Institute with 5 Years’ experience in repair and maintenance of large scale Air Conditioning & Refrigeration systems in a Hospital environment. 05 Graduate in Civil engineering from a recognized University/ Institute. 03 Graduate in Electrical Engineering from a recognized University/ Institute. 03 Graduate in Electrical/ Mechanical Engineering from a recognized University/ Institute. 05 A) Matriculations or equivalent. B) ITI /Diploma Certificate in Refrigeration and Air Conditioning from a recognized Institute/ Polytechnic of a minimum of 12 months. 8 Years experience in installation and Maintenance of Refrigeration and Air Conditioning Systems in Ministries/ Department of Government of India, State Government/ Union Territories and other Engineering departments of the Central/ State/ PSU/ Statutory/ Autonomous Bodies. B) ITI/ Diploma certificate in Refrigeration and Air Conditioning from a recognized Institute/ Polytechnic of a minimum of 12 months. C) 2 Years experience in the installation and maintenance of Refrigeration & Air Conditioning Systems. Eligible candidates may apply online at AIIMS Rishikesh's website (direct link is given below) from 11 Feb 2019 to 18 Mar 2019. Candidates log on to http://www.aiimsrishikesh.edu.in/recruitments.php. AIIMS Bhopal Recruitment 2019 - Job notification for 142 Non-Faculty Group A, B, and C Posts in AIIMS Bhopal, Madhya Pradesh on Deputation Basis. Applications are invited by All India Institute of Medical Sciences Bhopal on or before 22 Apr 2019 till 05:00 PM (last date of submission of application for the post of Financial Advisor is extended for another 15 days i.e. upto 07 May 2019) for 142 vacancies. 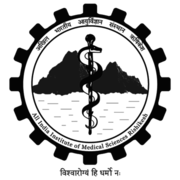 AIIMS Patna Recruitment 2019 - Walk in for Senior Resident Post in, AIIMS Patna, Patna, Bihar on Ad hoc Basis. Candidates are invited by AIIMS Patna to attend walk-in-interview to be held on 11 May 2019 09:30 AM for 1 vacancy.